Elizabeth Warren: U.S. President or Massachusetts Senator? Massachusetts Senator Elizabeth Warren’s first televised interview as a nearly announced presidential candidate was with MSNBC’s Rachel Maddow. The interaction was about as challenging as a Donald Trump interview with Sean Hannity. From there, she went on to Iowa, where the questions got a little bit tougher and are just a foretaste of what she will have to confront going forward. There is no doubt that Warren’s populist message should resonate, even among some Obama voters-turned-Trump Republicans. She is smart and accomplished: witness her role in creating the Consumer Financial Protection Bureau. She is courageous, a stand-up leader, and in tune with values that need more effective champions in the public arena. So what is that “something about Elizabeth” that turns some people off? There’s still a lot of misogyny in the world. #MeToo is a movement, not a majority. A female candidate must be strong, but not castrating. She must be bold, but not divisive. She must be feminine, but not shrill. You get the idea. Despite the encouraging success of female candidates in 2018, this tricky challenge still confronts virtually any woman who aspires to the nation’s highest offices. Many who like Warren’s populist economic message nonetheless see her style of messaging as that of a liberal school marm. Others have called her a “scold,” which sociologists have long taken as a proxy for gender bias. For some who won’t acknowledge gender bias, likability becomes the code for such expressions of gender prejudice. If Trump is the candidate, it will be especially challenging for any female to win in 2020. The metrics of likability are nothing new and not gender-specific. Remember that George W. was more “likable” than John Kerry. W was the candidate people preferred to have a beer with. And, though he looks a lot better now than Donald Trump, the beer buddy test didn’t produce a better president than Kerry would have been, likable or not. Some who would support a female nominee believe that Warren smacks of blue-state, coastal elitism, which, along with other more significant negative characteristics, damaged Hillary Clinton. Warren’s personal biography, her up-from-Oklahoma-poverty rise to national prominence, could help counter that. It’s an authentic story. Other personal characteristics stand up less well. It’s fine that Elizabeth likes beer. So, in spades, does Brett Kavanaugh. But did she have to interrupt a New Year’s Eve Instagram to go to the fridge and get a bottle, which she drank from? Like Michael Dukakis in a helmet driving a tank, Warren was just trying too hard, suggesting a tin ear on the small things. Not to mention how she handled the revelation of her DNA test, taken to get out ahead of the Pocahontas issue. A Suffolk University/Boston Globe poll not long ago found that 58 percent of Massachusetts residents thought Warren shouldn’t run for President. Just 32 percent favored her running. Many progressives with whom I have spoken support Senator Warren as an important voice nationally but fear she can’t win a race for President. They desperately want her to play the role in the Senate that Massachusetts Congressman Barney Frank did for years in the House. Republicans, by contrast, are salivating for Warren to be the nominee, just as Democrats were lusting for Trump to be the Republican nominee in 2016. That tells us something. Strange things do happen. I have no doubt that Warren will improve as a candidate, and her presence early on will help shape the national dialogue. Even if she ultimately loses, the race should make her a better Senator, perhaps even becoming more comfortable dealing with the press. She has the potential to be a benchmark against which other progressive candidates will be measured. She may also drive home a message that, given where the country is, the Democratic Party will do better with a more centrist nominee with broader appeal on issues and greater ability to reach across the aisle. 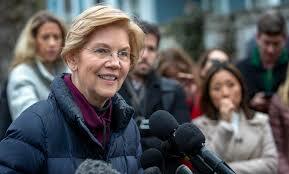 All the talking heads from MSNBC to Fox should knock it off in proclaiming that Elizabeth Warren is dead on arrival. We’ll all benefit if the media and other pundits learn how to be more measured and thoughtful in covering the race. The news media covered the 2016 race dishonorably and this time should learn from their shameful behavior. There are miles to go before we vote. I have to post quickly before events reactivate the despair and cynicism of the last two years. I felt a smile emerge when watching the swearing-in of Nancy Pelosi as Speaker of the House of Representatives. Imagine the pleasure of hearing about Article 1 of the U.S. Constitution, establishing the Congress as a coequal branch of government, especially now when the House can be a positive force. I was a sucker for the themes Pelosi raised: protecting Medicare, Medicaid and Social Security; recognizing the existential threat of climate change; pledging a legislative process that is transparent, unifying and bipartisan. “Transparency will be the order of the day,” she averred, and Massachusetts Congressman Jim McGovern’s chairmanship of the Rules Committee can make it happen. She spoke about lowering drug prices, protecting pre-existing conditions, making important infrastructure investments, and, in H.R. #1, restoring integrity to government. Will these promises be fulfilled? I’ve been around for a long time, and I know the realities of the political process. We can’t forget the obduracy of the Senate under Majority Leader Mitch McConnell and the likelihood of a Trump veto. They’re both still here, but the craven Paul Ryan is history. For two years, we’ve lived in a world in which those issues and values articulated by Speaker Pelosi were scarcely mentioned. And, if they were articulated, they came out of the mouths of people who couldn’t be trusted to tell the truth. For however long it lasts, I will wrap myself in the ray of hope that things will be a little different between now and 2020. The Democrats need to deliver something or, if blunted by the continued toxicity of Donald Trump and complicity of Mitch McConnell, at least make clear what life would look like with a Democrat in the White House. Otherwise, they’ll likely face defeat in the Presidential election. The time is now, Ladies and Gentlemen. The rest of us need to stay engaged and demand accountability of those who claim to represent our values and goals. Taegan Goddard’s Political Wire is one of our best portals to reliable news sources, with postings throughout the day. One of today’s posts reflects my own Trump/news fatigue, and Goddard’s short-term solution to it. In a note to his readers, Goddard wrote, “Folks, I’m exhausted. The crushing amount of political news over the last three years has just about worn me out.” Noting that the next two years promise to be “even crazier,” he advised that, for the next week, Political Wire will not be updated at the normal pace. Looking back at my blogs, it seems the ones that have elicited the least reader engagement have similarly been those dealing with international topics. I wonder why? Please tell me. The greatest level of response I get are those dealing with Trump and Congress— even from my readers in Australia, Thailand, Greece and France. Like Taegan Goddard, I’m suffering from Trump fatigue and have a sense of the onslaught of news to come. So, dear readers, I will try to take a week or ten days to avoid writing. One escape route is my plan to take a class on the poetic muse in American classical music. Could anything be further from him who shall not be named? And, if I fall off the wagon, it will not be for Donald Trump and his stupefying craziness. Who knows what Elysium fields I will discover? As always, I appreciate your reading my blog, becoming followers, and your comments on the blog itself as well as on email, Facebook, Twitter and the old social medium of face-to-face! Best wishes for a happy and healthy New Year. May 2019 bring you both prosperity and deep personal satisfaction. The menacing lion-like creature shook his orange mane, growled and chased me down the hill leading to the road where our house is. I sat bolt upright in bed, realizing it was just a bad dream that had disturbed my sleep. Later, in light of day, I realized our living nightmare is much more dangerous than anything that goes clunk in the night. Our President has summarily, and against the virtually uniform advice of the defense sector’s best minds and experience, announced victory over ISIS, mission accomplished, and declared his intent to withdraw American troops from Syria. While senior officials in Washington were dismayed, Vladimir Putin was lavishing praise on our dangerous, capricious, ignorant and narcissistic President. How can he declare ISIS no longer a threat when a small but lethal core remains and nothing has been done to alleviate the conditions allowing the rise of that most vicious of terrorist groups? How can he do this without a serious plan to protect the Kurds, our loyal allies against ISIS whom the Turks have promised to slaughter after we leave? Trump is also pulling GI’s out of Afghanistan, a slightly more defensible move, but his decision was made precipitously and against strategic advice of the defense community. There’s a difference between campaign rhetoric and responsibility once in office, and Trump has yet to learn this basic lesson. Sadly today, the last of the “grown-ups” in the administration, Defense Secretary Jim Mattis, tendered his resignation. Believing in good conscience he could no longer serve, he restated the importance of international alliances (which Trump is systematically vitiating) and the need to stand up to authoritarian regimes like Russia and China, whose leaders Trump is cozying up to. Also today, Putin warned of the rising threat of nuclear war and blamed the United States for turning its back on existing treaties. As if that weren’t enough, North Korea today announced it wouldn’t give up its nuclear arsenal until the United States does likewise. It’s unclear how much of Trump’s impulsive foreign policy gambits are wag-the-dog diversions from his week of adverse Bob Mueller investigation headlines and the tanking of the stock market. Whatever Trump’s reason, he’s playing with fire. At home, Trump seems headed for a partial government shut-down (including parts of the defense and homeland security departments) because he got criticized by Ann Coulter and Rush Limbaugh for failing to build his wall. Congress seems as unlikely to shell out $5 billion for it as Mexico is to ante up. Trump doesn’t care that illegal immigration is at its lowest in years. His racist rhetoric and policies on family separation for those seeking asylum continue, all part of pleasing his base. And the stories get worse. Twice as many children are being held without their families. One little girl died last week, possibly due to dehydration. A Yemeni mother tried for a year to enter the United States to join her husband and son, who are U.S. citizens. Her tiny son is dying in a hospital in Oakland, but the Trump administration wouldn’t permit entry to anyone from Yemen. It was only under public outcry that they relented and granted her a waiver to come and hold her child, dying from a rare brain disease. Republicans controlling Congress have been enablers for nearly two years. Shame on them. Meanwhile, Trump continues his attacks on my former colleagues in the news media, which, given the craven silence of the President’s own party, are now the only voices of reality with any clout. He continues to undermine their standing, and, worse, many foreign leaders now emulate his despicable behavior with impunity. Fifty-three journalists have been killed this year, including four at the Capital Gazette in Maryland. Perhaps the most odious was the Saudi-directed murder and dismemberment of Jamal Khashoggi, a Washington, DC resident writing for The Washington Post. And Trump sides with Saudi Crown Prince Mohammed Bin Salman, who denies culpability though our own intelligence and defense communities assert otherwise. Under Trump, we are living in a world gone mad, and it’s a very scary thing. It’s staggering that Trump’s approval nationally is still around 42 percent, and support of so-called Republicans remains at 85 percent. What is wrong with these people? Do they not realize where he is leading this country? I’d like to go back to sleep and remain dormant at least until the Democrats take over the House the first week in January. As last night’s dream suggests, however, sleep is no longer a haven. You’re probably as sick of the daily news cycle as I am, despite the satisfaction of seeing the progress of the Mueller investigation. Still, I highly recommend House of Trump, House of Putin, by former Boston Magazine editor Craig Unger. This well researched tome documents a Donald Trump who is a wholly owned asset of Vladimir Putin. Starting in the early ‘90’s, the kleptocracy in the former Soviet Union, having raided formerly state-owned enterprises and skimmed resources, needed places outside Russia to place their money. 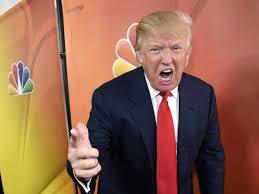 At about the same time, with the demise of his empire (Trump shuttle, three Trump casinos, metastatic Trump real estate empire, including the Plaza Hotel), Trump was an estimated $2 billion in debt and down to his last $1.6 million. Real estate was the perfect place for the Russians to park their ill-gotten gains. By paying cash and not borrowing from banks (with all their pesky disclosure requirements), the Russian mafia was a natural partner for the Donald. Vladimir Putin was also involved with the Russian mob. The Trumps, pere and fils, already had a working relationship with organized crime in the construction business. It was a natural fit. Ah, if we only had seen Trump’s tax returns during his candidacy. During trips to Russia to explore opportunities to build Trump Towers there, his “social” activities were duly monitored and recorded according to KGB (now FSB) custom, all of which helped Russians intrude in our electoral process and ultimately perhaps change the course of our history. If you’re intent on avoiding Trump but still want a well-researched and informative piece of non-fiction, try Prairie Fires: The American Dreams of Laura Ingalls Wilder by Caroline Fraser, an exhaustive biography of the writer of the Little House on the Prairie series and her family. But, while the narrative focuses on the Ingalls then Wilder families and Laura’s relationship with her daughter, Rose Wilder Lane, also a prodigious but controversial writer, Prairie Fires is the story of the hard-scrabble existence of the earliest settlers in rural America. The reader is dropped into the lives of pioneers settling in Minnesota, South Dakota, Missouri, and Kansas at the end of the 19th century, when government policy was to displace Native Americans to facilitate the opening of new territories. We come to understand the shortcomings of the Homestead Act, which gave opportunity seekers access to their own land, often acreage that couldn’t sustain farming, and the travails of drought, wind storms, fire, insects, blizzards, and grinding poverty that made their lives gritty and often impossible. Wilder supplemented their meager farm income by writing articles for farmer’s magazines and women’s journals until, after the Dust Bowl and the Great Depression, she started writing children’s books. Adult readers came to love them as well. Her writing helped shape the mythology of American self-reliance and its emphasis on human dignity, determination, faith, and optimism. In that spirit, Wilder and Lane became fierce critics of Franklin Roosevelt and the New Deal for what they saw as undermining individualism and self-reliance. Well, yes, it does resonate with contemporary red state politics, but at least it’s Trumpless. Thanks to Peg Scully for recommending it to me. Two sports books that are pleasurable reads. The Game: Harvard, Yale, and America in 1968 by George Howe Colt. Perhaps you remember the newspaper headline “Harvard Beats Yale 29-29.” This entertaining book tells in great detail the story of that legendary game, called by many afficionados the greatest college football team in history. Both teams were undefeated, but Yale had rolled its opponents all season, and Harvard had won by far narrower margins. Harvard was undoubtedly the weaker team and significantly behind for the first three quarters of the game. Many of the Harvard fans, including loyal alums, had left Harvard Stadium and headed for home. Yale was still ahead by 16 points in the last 46 seconds of the game, when, with grit and determination, Harvard tied it up. Both teams were undefeated for the season. Yale viewed it as a humiliating loss; for Harvard, it was a triumph. But the book is about so much more. It was, after all the Vietnam War era, and the campus was split by those who initially saw it as their patriotic duty to support the war, and those ardent opponents, many of whom ended up occupying University Hall, the administration building. The book is a splendid history of the era, what the game meant to the participants and what happened to the players, coaches and college administrators as their lives went in different directions in the wake of the social, cultural and intellectual upheavals of 1968. Finally, there’s Mark Leibovich’s newest book Big Game: The NFL in Dangerous Times in which he skewers the culture of the National Football League as acutely as he rearranged the anatomy of politicians in his last best-seller This Town. And guess what? The men of the NFL, especially the billionaire owners, are as petty, hypocritical, testosterone-driven and narcissistic as many of our national political leaders. Leibovich also explores the relationship between many of the owners and Donald Trump, each craving the adulation of the other. In fact, Leibovich posits, if Trump had been allowed to buy the Buffalo Bills when he wanted to, he might not have needed the toy of the Presidency. As always, Leibovich allows colorful characters like Patriots owner Bob Kraft, Jerry Jones of the Dallas Cowboys and Atlanta Falcons magnate Arthur Blank to reveal themselves by their voices, dress and mannerisms. In the process, the author’s candor about his own lifelong love of the Patriots and TB12 exposes the fans’ craziness. A great behind-the-scenes look at the pro-football-dominant culture. Ultimately, the book fails as an escape from politics, but it is great fun. Next time, a better escape from politics into fiction.